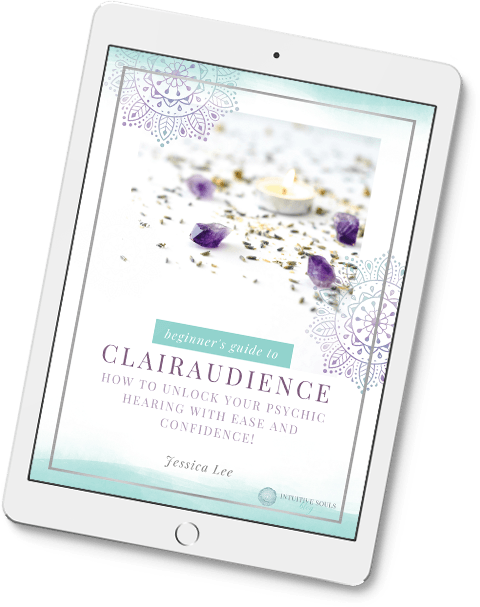 Develop your intuitive ability and mediumship in a way that’s FUN and practical – just as if your bestie friend were helping you. Be totally confident in the readings you give and get rid of “pre-reading” jitters. Totally rock and embrace your psychic and mediumship abilities, and not feel like a freaky weirdo! In 2010, after 10 years of giving psychic medium readings, I discovered the Akashic Records. They were fun, FASCINATING, and incredibly healing for my clients and me. In 2013, I followed my heart and became a Certified Advanced Akashic Records Reading practitioner. My time is now spent giving Akashic Record readings, mentoring, and blogging – and of course, being a wife and mom (I make a mean chocolate chip cookie if I do say so myself!). You might be surprised to learn that I never intended on entering this field. Actually, I’ve always been very “left brained” and grew up wanting to be a stock broker! My mother used to visit tarot card readers and psychics and I would argue with her that none of this “stuff” was real. Was I in for a surprise! In 2000, after the birth of my daughter and a life changing hypnosis session, I started having intuitive dreams. I was so fascinated by the things that I was experiencing that I signed up for a psychic development class with a well-known medium, and my journey into the spiritual world began. It was as if someone had turned on the lights. What I immediately noticed is that real psychic ability and mediumship was nothing like what I originally thought. There were no crystal balls, cures, or anything “weird” about it. Actually, it was all very down-to-earth and I was taught to give readings from a place of love and alignment. There was so much healing and personal empowerment. As much as I was feeling called to do this work, and appreciated how beautiful it was, I fought it. Even though the other mediums and psychics I was working with were super “normal” I was afraid of being judged by the outside world. So, for 10 years I very quietly became a student again. I immersed myself in the subjects of psychic ability and mediumship and intended to be a thorough, A+ student, just like when I was in school. During this time, I gave thousands of practice readings, was mentored by many of the best mediums in the United States and England, and even worked with a group of “psychic detectives” for about a year! Then one day, a friend encouraged me to step out of my comfort zone and create a little “business” by giving readings. Me enjoying some puppy love. I admit, going “pro” was terrifying. I can’t tell you how many times I almost quit. The night before a reading, I would secretly hope that my client would call and cancel. THAT’S how nervous I was. What if the information I give my client doesn’t resonate? What if they thought I sucked? What if I don’t get any information or make a connection with spirit? I was one big ball of nerves and I knew that’s not how I wanted to work. So I sought out a mentor. Not a class this time, but a one-on-one mentor who could help me overcome my challenges. After a year of working with my beloved mentor, I was a much more confident reader and actually looked forward to giving readings! At that time, my practice quickly grew via word-of-mouth. And since then, my little “side business” has grown into a wonderful, loyal clientele from all over the world. 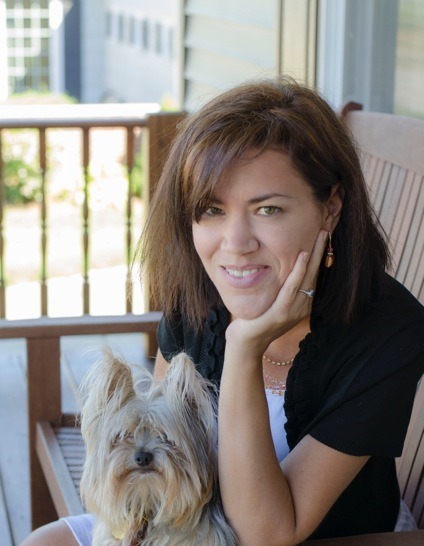 In 2012, I began the next chapter of my life – teaching heart-centered psychic and mediumship development. Needless to say, I’m glad I didn’t quit! Within two years, my one-on-one mentoring programs were completely full – with a long wait list. That’s when I realized that the world is changing and people are ready for a heart-centered and practical way of learning psychic ability and mediumship. I discovered that my students didn’t want to just be psychic – they wanted to help heal the world. And they wanted to lead full, spiritually aware lives filled with joy and gratitude while they did it. In September of 2014, I was called to start this blog. After all, that’s a big part of heart-centered living – following your heart and listening to your soul. I’m so happy teaching this way. And I’m excited that people have a grounded, fun, and loving place to come and learn about psychic ability, intuition, and mediumship. I’m so grateful for each of you and I truly hope that this site feels like a big, warm hug. PS: If you are feeling called to work with me, please take a look at the mentoring services I offer, or how you can schedule an Akashic Records reading with me. An Invitation to Read My Book – for FREE! If you are aspiring to be an intuitive reader or medium, or are just curious about psychic ability – I invite you to read my eBook 7 Real World Steps to Embracing Your Intuitive Gifts. I created this book out of love to help those who are called to use their gifts, but have lots of practical worries and fears, just like I did. This is the book I wish someone had given me to bring me comfort! To get your free goodies, just enter your name and email address in the fields below, and I’ll email it right over to you. I’ll also keep in touch weekly with tips on how to develop your gifts, and give great readings. Wishing you a journey filled with love, joy, and fun!